"God’s final and most complete revelation of Himself is in His Son. Preaching on Mark 2:1-12, which recorded the gospel story of Jesus healing a paralytic who was lowered from a roof into a home. 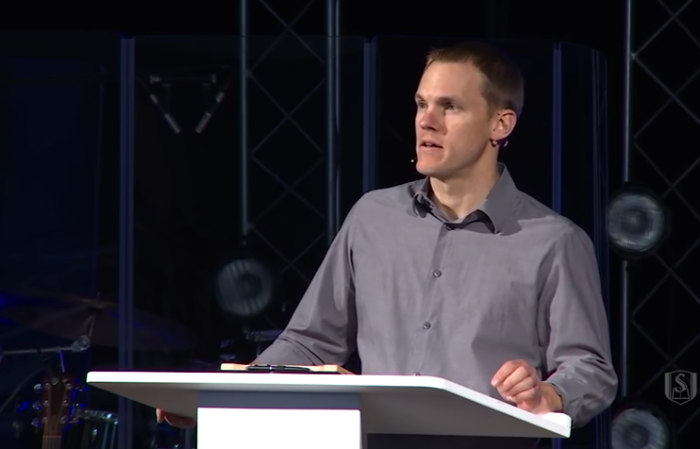 McLean Bible Church Pastor David Platt denounced faith healing as a “false gospel” in a speech at an evangelical conference, explaining that the real Gospel is about Jesus Christ forgiving sins. Preaching on Mark 2:1-12, which recorded the gospel story of Jesus healing a paralytic who was lowered from a roof into a home, Platt explained that while the passage showed “two urgent needs” that Jesus addressed, the two needs were not equal. “The Gospel is not going to Africa and saying ‘trust in Jesus and your HIV/AIDS will be gone. The Gospel is not going to America and saying ‘trust in Jesus and your cancer will be gone,’” he continued. “For all who trust in Jesus for the forgiveness of your sins, you can know cancer will not have the last word. Tumors will not have the last word. Alzheimer’s will not have the last word. Parkinson’s will not have the last word,” declared Platt. Platt mentioned a wheelchair-bound person named Marisa who was recently baptized at his church. “Marisa has cerebral palsy, spends her life in a wheelchair. Every Sunday, she wheels that motorized chair to the middle aisle right in front of me,” he explained. 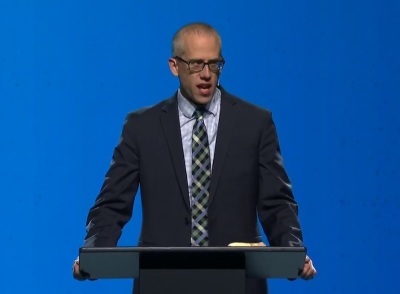 Platt’s remarks came on the final day of the conference, which featured other notable speakers including DesiringGod.org founder and pastor John Piper, author and Presbyterian pastor Timothy Keller, and Christ Covenant Church Senior Pastor Kevin DeYoung. While the Gospels show Jesus’ ministry centered on three things: preaching, casting out demons, and healing the sick, said DeYoung, they were not considered equally important by Jesus.